Our clients come to us for many reasons. Some have a hankering for a traditionally built home and want us to take their idea and turn it into the finished product. 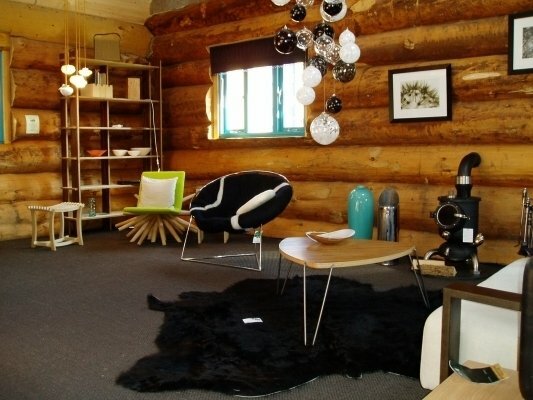 Others desire a dwelling that is totally unique or a practical and economical building for business purposes. Many want buildings made from sustainable resources that blend in with the natural surroundings, and desire a place that is a retreat from the stresses of every-day life. We help them decide on the best design and deal with the local authority so our clients don’t have the hassle of getting planning agreed. 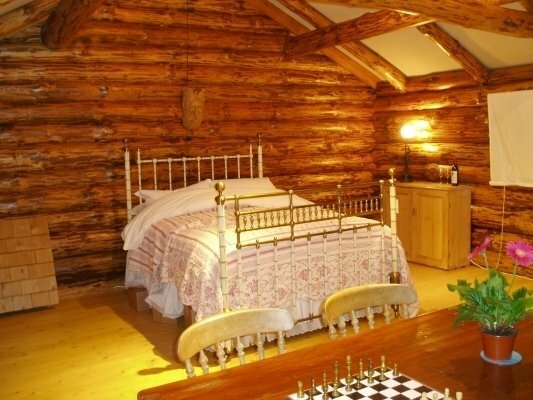 The logs we use are individually selected and finished by hand so that the quality is quite unlike that of a factory mass-produced log cabin. 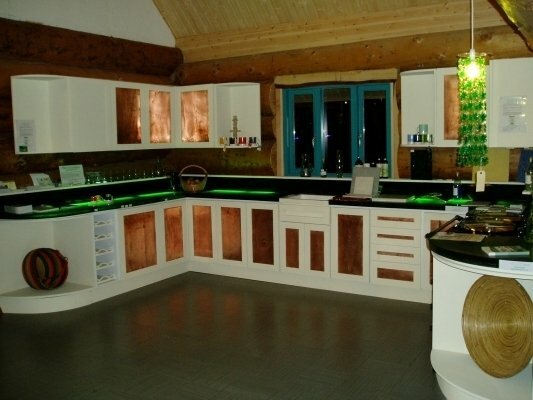 All our clients are presented with a totally bespoke product that is created just for them. 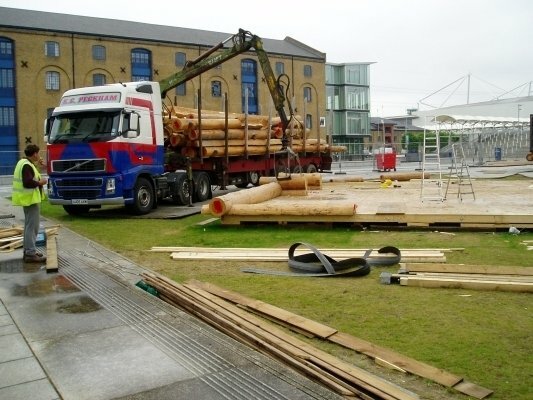 We use large logs in the round, average mean diameter of 420mm (16 1/2”real speak) and up to 500mm (24”). 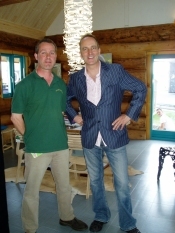 We can achieve 0.3 “U” value and calculate 0.15 U with a layer of hemp and lime as either an internal or external skin. We have a pressure test rating of 2.63. This is a comparatively new test where pressurized air is measured to calculate how energy efficient a structure is; 1-10 is a pass, 11-15 a fail. 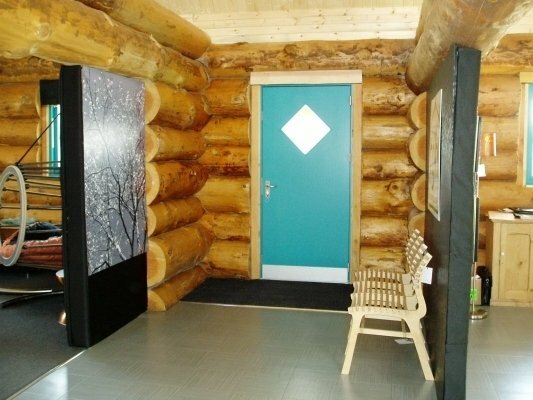 Not bad for a Log House! We have calculated carbon neutral as the big trees are nearing the end of their carbon cycle and using F.S.C. timber will ensure new trees will be planted and hence absorb greater quantities of our carbon without a complaint. 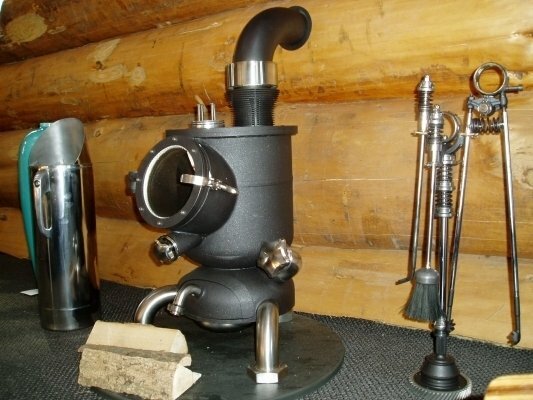 Each build will only use minimal amounts of fuel, i.e. unrivaled low “embodied energy”. On top of this, we use a local, natural raw material. One which from a forestry view point is actually past its normal harvest date and has very little footprint as they travel a tiny amount to be produced into a home. 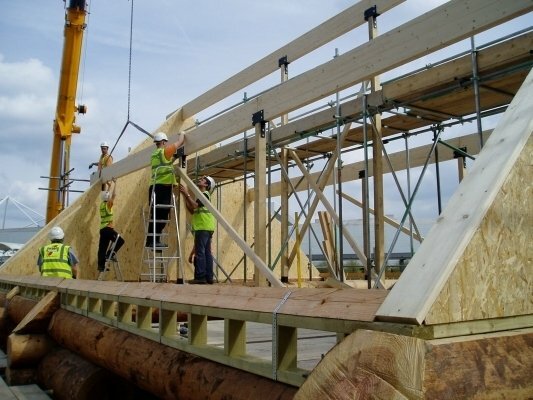 A new build is expected to reach 10% renewable material use, we come in at around 80% approx. 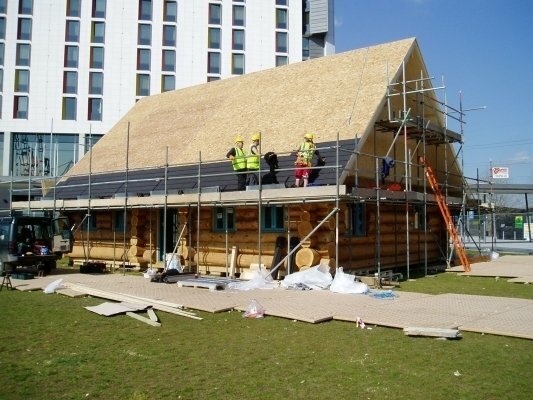 If combined with sensible utilities; heat exchange pumps, reed bed waste and grey water systems, Photo Voltaic and/or wind power, then it would be very hard indeed to find a “greener” more eco-friendly home than a Log House Co Ltd build. We still find it amusing at the Log House that with all our “progress” in recent decades with materials and policies, a form of building which has stood the test of time for centuries should re-emerge as the one to meet and in most cases exceed current regulations. 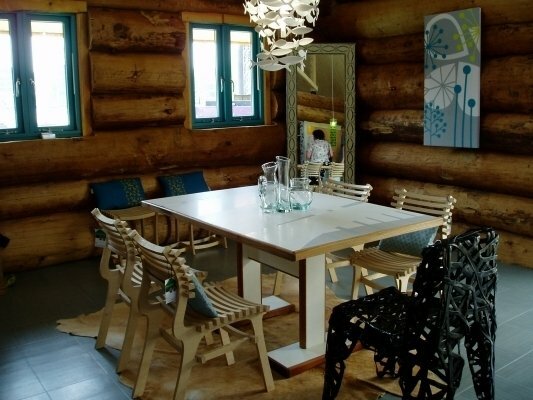 Building with natural wood is a centuries-old, traditional craft. The early American settlers were some of the most skilled builders of log houses, log cabins, and log shelters in the world. 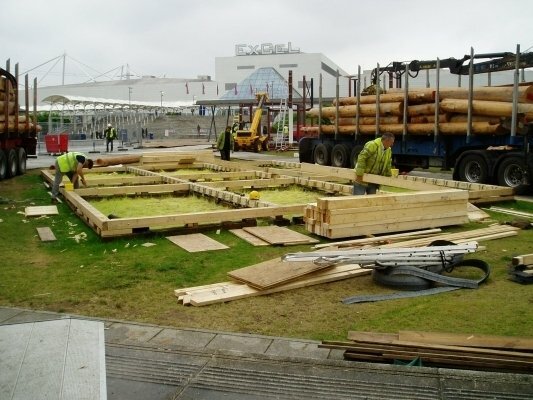 Their skills, which originated from Scandinavia in Europe, made use of the most natural and abundant building material – trees. This way of building has survived into the 21st century because it is environmentally friendly and provides accommodation that is soothing to most of our senses. 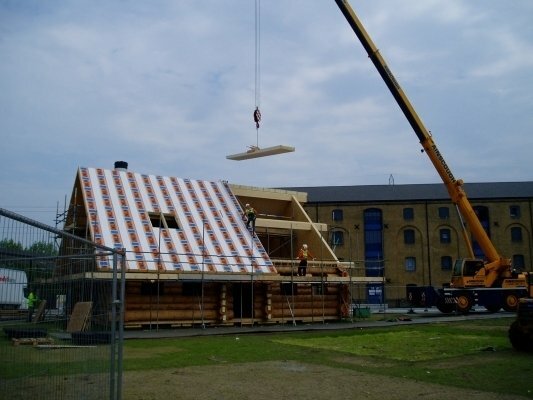 In our modern age of building regulations, and with ‘green issues’ becoming more and more important, our log houses (with origins that precede most other types of building) tick more ‘green’ boxes than councils are asking for at present. 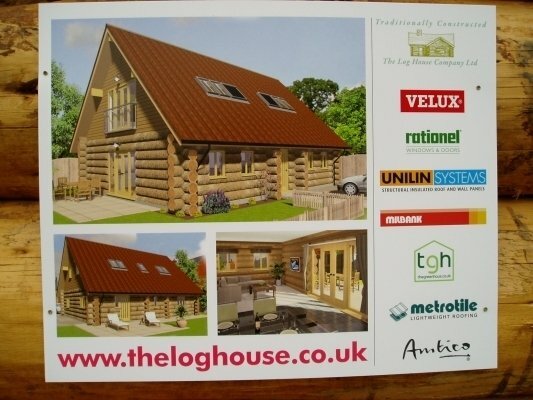 The Log House Company’s houses offer arguably the best modern alternative available because of their many excellent characteristics – aesthetics, thermal insulation, exceptionally low embodied energy, environmental friendliness and naturally renewable. The techniques used by The Log House Company were learned during 1984 while constructing log buildings for native Indians in British Columbia, Canada. 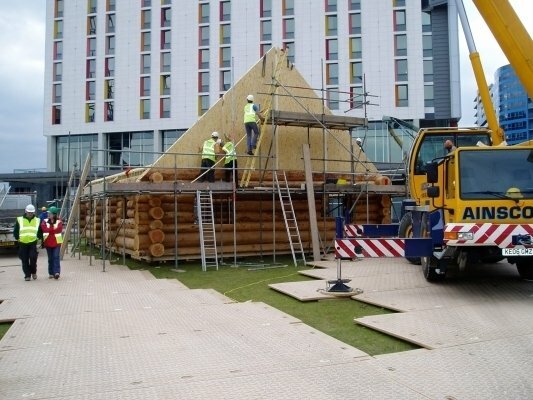 Working alongside a professional log builder, skills were learnt from seeing how logs were selected and cut, and by helping to create shelters and homes made entirely from logs high in the Rocky Mountains. 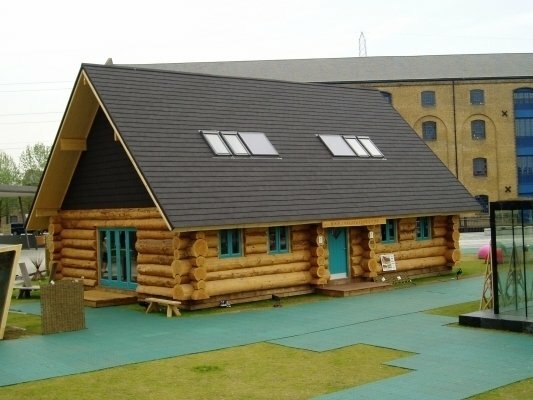 Many other log buildings on the reserve, like the band office (similar to a local council office) and houses, were fully functional buildings made from logs. Today we use those same skills to construct buildings for our clients. 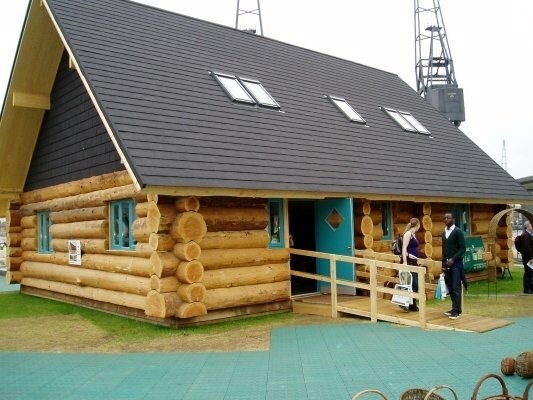 In 1985, the first log building we constructed in the UK served as a transportable display cabin for many years, and is now used as a fishing lodge beside a trout lake. One of our earliest buildings from 1987, with a full-length verandah, is still providing somewhere restful to sit and contemplate the garden. 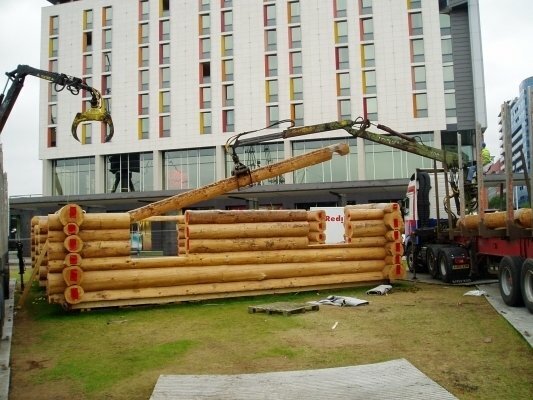 Although many people describe buildings made from logs as “log cabins”, we prefer to call them log buildings. Whether the purpose of that building is a garden room, an office, an annex, a mobile home, or a permanent home, we manufacture buildings that are designed for their purpose to the highest standards of quality and beauty. Choose The Log House Company and you will have a building whose beauty is enhanced with age, and solid enough to last a lifetime.